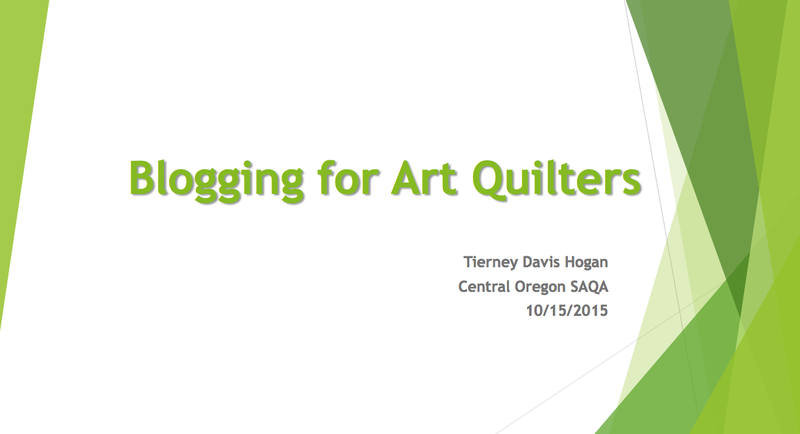 I was invited to speak on Blogging for Art Quilters at our October SAQA (Studio Art Quilt Associates) meeting, as the featured presenter. In my “pay the bills” career in the health care industry, for the past 20+ years I have done numerous training and workshops for those in staff and in leadership positions. So my first thought when accepting the invitation to speak was: “No problem, I have done like a zillion presentations and I can give any group ‘Death by PowerPoint'”. I once even did a presentation for “the dead”. Or people I thought were dead (I mean a long time dead, they just hadn’t started to smell yet). I was the head of Medical Management for a Worker’s Compensation carrier and I had to do a presentation for the management group of a large retail organization. When I got up to the podium and saw a sea of very blank and disengaged faces (basically they all looked “dead inside”), instead of having stage fright, I thought “Screw it, I am going to have fun”! I removed the microphone from the podium, walked into the glassy-eyed audience and began to work the crowd with my presentation like I was a nightclub act. They suddenly came back to life and I had a blast (and maybe they did too) giving the presentation! So our local SAQA group contains nationally and internationally known quilters, teachers, published book authors, and some seriously talented (like mind blowing-ly talented) art quilters. This was my first time ever presenting/speaking in the art quilting industry (I am usually thinking at each SAQA meeting “so what I am doing here with these people?”). Additionally I am no expert on blogging. 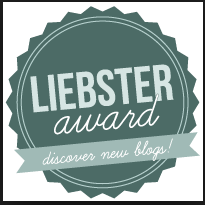 I started in 2013 and I have been learning as I go and continually reading tips from other bloggers. My only saving grace was I knew I could put together a nice “Death by PowerPoint” for the group! The SAQA group was wonderful and it was easy to engage them, I had no need to be worried. WHY BLOG? To have an online presence; to showcase your art; to connect with other quilters & artists; to connect with potential customers. Kristin Shields (kristinshieldsart.com) introduced the group to an incredible website and blog option for art quilters: Square Space, This platform also allows artists to directly sell their art to customers (www.squarespace.com). WRTING BLOGGING CONTENT: Engage your readers and get them coming back with interesting posts, “cliff-hangers”, and ongoing series; learn the blog hosting platform’s tips to make navigate your site easy for readers; brainstorm on ideas for posts and keep a journal of ideas; find your own voice and be true to yourself. 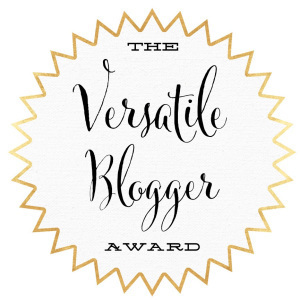 BLOGGING ETIQUETTE: (adapted from Idiot’s Guide Blogging Rules & Etiquette): Respond to and appreciate your readers they took the time to read your posts and comment; stay away from “hard sales” and controversial topics (religion, politics, etc.) unless that is the purpose of your blog; respect copyright laws. PUBLICATIONS: Before I started blogging or starting my tierneycreates Etsy shop I did a lot of reading. Here are some of my favorites and I thank all the wonderful authors who wrote either the books or articles I enjoyed! At the end of my presentation, I shared why personally I blog: Connection. At first my blog was to be a vehicle to gain potential customers for my Etsy shop, but then it became more than that – it became a vehicle to connect with other individuals with shared interests and discover other blogger and their blogs. 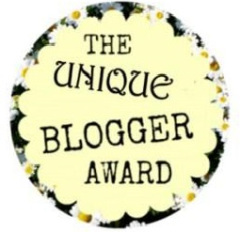 I so appreciate my readers and I now follow many blogs myself (trying to keep up with them all as best I can). I love reading the life adventures of other individuals and the experiences and lessons their share!